Telenor senior personnel are insisting that they are not going out for any merger soon. According to them they are one profitable entity right now. The gap of subscribers between Mobilink and Telenor is decreasing – they can go ahead with acquisitions but they won’t go for sell out right now, that’s what Telenor people say. Note: We are sorry, earlier we said that Ufone’s contract was awarded to Ericsson, however, this is not the case. We are sorry for the mistake, and understand our responsibility of correcting it. NSN also lost control of PTCL project which went to Huawei now. This project is of 300 exchanges – now Huawei equipment will be installed there. Seeing the NSN project loosing frequency, employees are worried about the future. Ufone says that its revenues grew by 29 percent previous year, in an Email, CEO congratulated all employees and confirmed that their bonus salary has been transacted to their accounts. Another black Friday hit Mobilinkers; Senior Chaps remained the focus, for instance Col. Jawad from Government Relations Department, Mr. Adnan & Brig. Nayyar Afzal from Technical Department and Mr. Furqan Bucha of Administration Department. 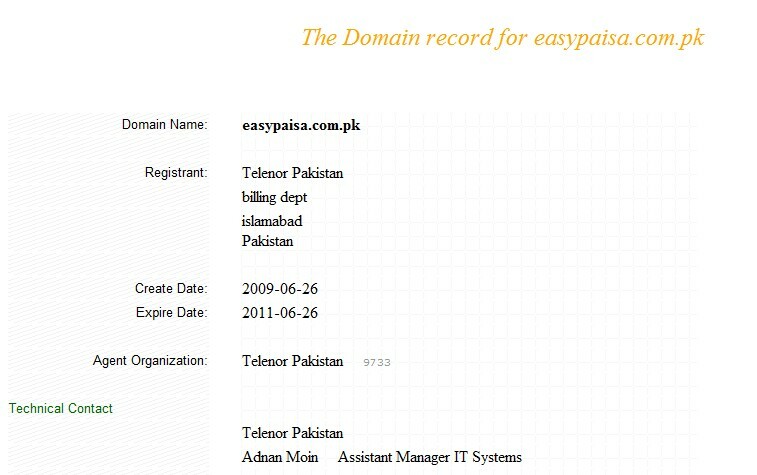 Yes, Telenor Mobile Banking is on the edge at last, most probably with brand name of Easy Paisa. 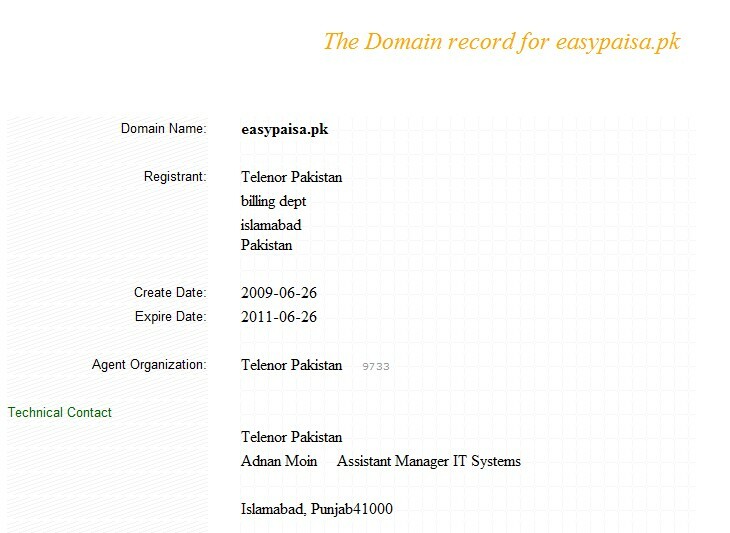 By the way, EasyPaisa.PK and EasyPaisa.com.pk are registered to Telenor Pakistan, already! Even if its hard to find telecom news, you & your team doing so well. And I am doing well in following more regularly :-) Specially today. 29% growth of U-fone is most probably because of there great marketing campaign. Now a days they are on every tv channel with their funny attention seeking adds. And yes their innovation in services as well may be the second factor. As per my experience of using cell phone during the last 11 years, Warid is the best service provider as I am using it for the last consecutive six years and never faced any problem of call congestion, droppage, balance wipe out, wrong or fake billing which was very prominent feature of Mobilink as well as of Ufone. Warid is undoubtedly the market leader in Post paid epecially the ist choice of corporate and business men.Hats off to Warid Sales & Service Team and advise to keep it up.